STAR WARS: THE FORCE AWAKENS - The Force Was Weak With This One | Warped Factor - Words in the Key of Geek. Stacy Embry's not a fan of sticky custard pudding! I had no desire to join the queues to see The Force Awakens last Christmas, as after George Lucas sold the franchise to Disney I knew they would fail to deliver a satisfactory Episode VII for anyone who had grown up with the beloved series. But with it now out on DVD I relented and rented and watched. And until Harrison Ford walked onto the Millennium Falcon I thought I was watching a well-funded college TCOMM project. Clearly, J.J. Abrams was a true fan of Star Wars and he longed to put his hand on iconic moments from the original trilogy, but unlike his more deft touch in the new Star Trek film series, this time he didn't have an alternative world to create. Fearing abusing the very material he admired, he instead cannibalized film images that moved him. There was Little Shop of Horrors plants attacking, Doctor Who imagery with space time coordinates to find Luke Skywalker, even Harry Potter's Voldemort became the supreme leader. The owner of the bar seemed like a certain "precious" friend from the Hobbit's shire, and we had a lot of Narnia... in a basement, on the surface of the newest weapon...it was everywhere--sans Tumnus. At the end, I swear I thought we were in the Princess Bride and Inigo Montoya was going to turn around. 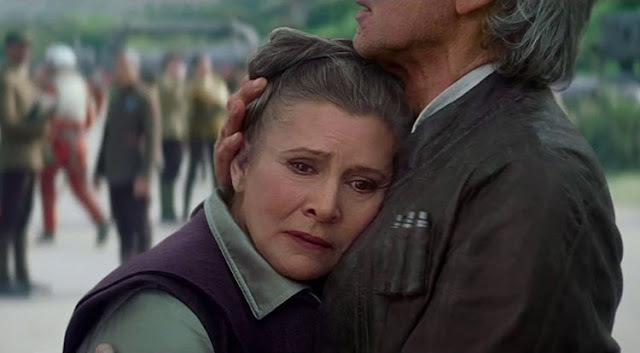 The Force Awakens is not a new Star Wars episode: It is a custard trifle of old images and themes mixed layer by layer into a sticky pudding. It is old photographs put into a new scrapbook. And when the melted head of Darth Vader appeared, I was done. Why? 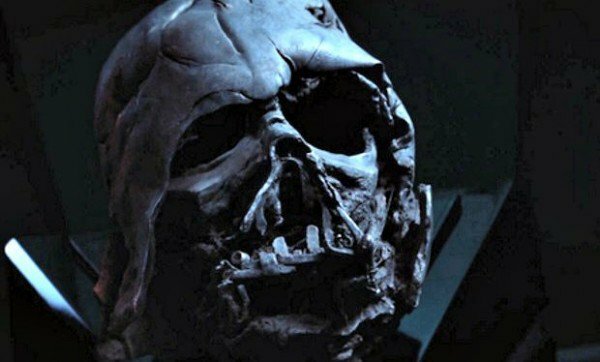 Luke lit a pyre and destroyed the manifestation of evil at the end of Return of the Jedi. That action had to happen and it circumvented the Emperor and his plan. Luke saved his father on Endor and for eternity. There was no way a melted mask survived to invoke any power. The first six films redeemed Anakan Skywalker, and he appeared as human standing beside Obi Wan and Yoda. That's a fact in the Star Wars universe, so this travesty is unacceptable. I could handle that the new "Luke" was a girl and the new "Han" was black... Yada, yada, yada (sorry, Seinfeld), but to bastardized the stark beauty of the denouncement of our original trilogy may show why creator George Lucas walked away. If you haven't seen this film, or like me waited for the rental, it's amusing to see how Disney spared no expense on extras and post-production. However, no Lucas magic is in here. The Force Awakens is well-made fan fiction featuring the real stars of the hallowed films. Harrison Ford, Carrie Fisher, The Millenium Falcon...they are all here. Yet, in the desire to create another piece of the story, Abrams just recreated the first, he did a point by point of Episode IV. 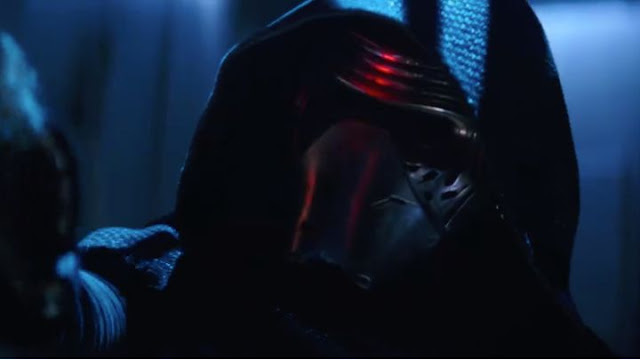 The Force Awakens is oblivious to its void of originality. The beloved music even felt betraying with these sub-par imagery. At the end I was left thinking, this was the great sequel? This was the box office smash? Maybe it just needed an "Expecto Patronum" in the climatic light saber fight. I mean, it did take place in the woods outside Hogwarts, yes? If you are hungry for trifle, feast on The Force Awakens. But if you have a low tolerance for lactic derivations, have a smaller meal before ingesting this for your pudding. It is simply not in the realm of Star Wars. Abrams has proved he can make money, but I don't see him making mythology. And, with Lucas once attached to the project, that's a daft bloody shame (and I'm an not even British).